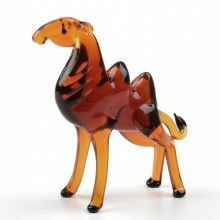 This glass figurine is hand blown and imported from Russia. 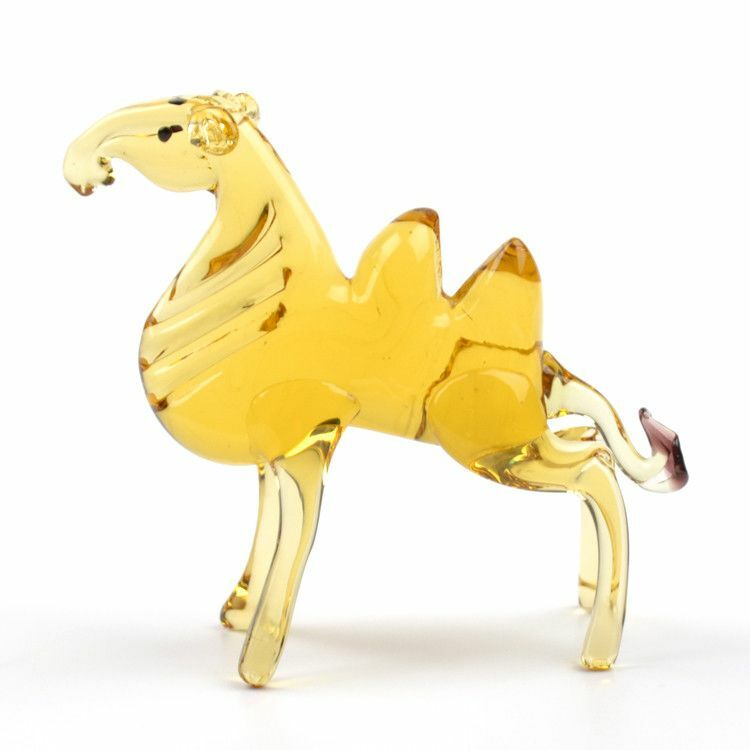 It's bright colors and adorable shape is sure to delight! 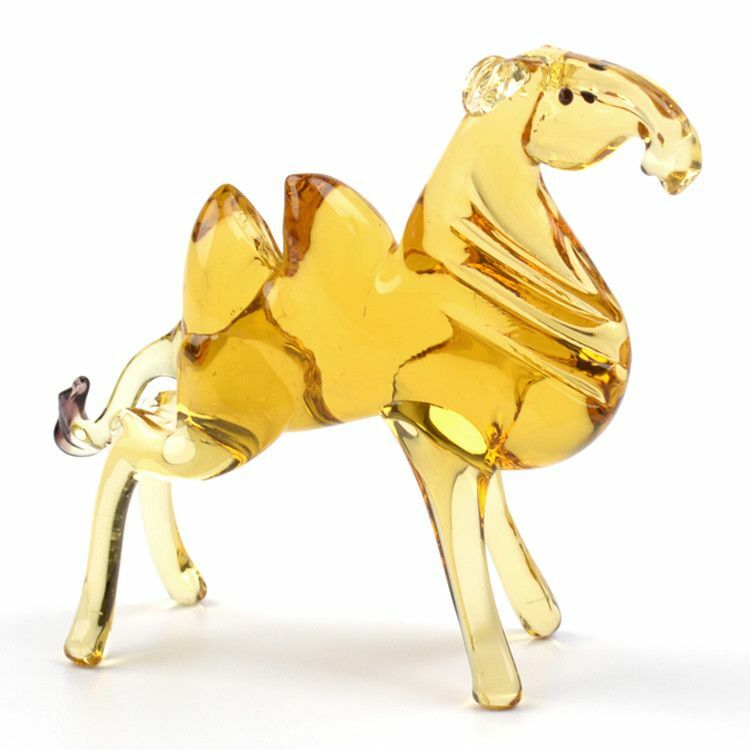 Because each figurine is crafted by hand no two are exactly alike; yours may vary slightly from the one pictured here. 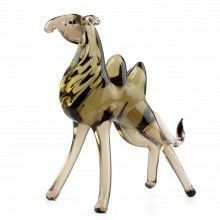 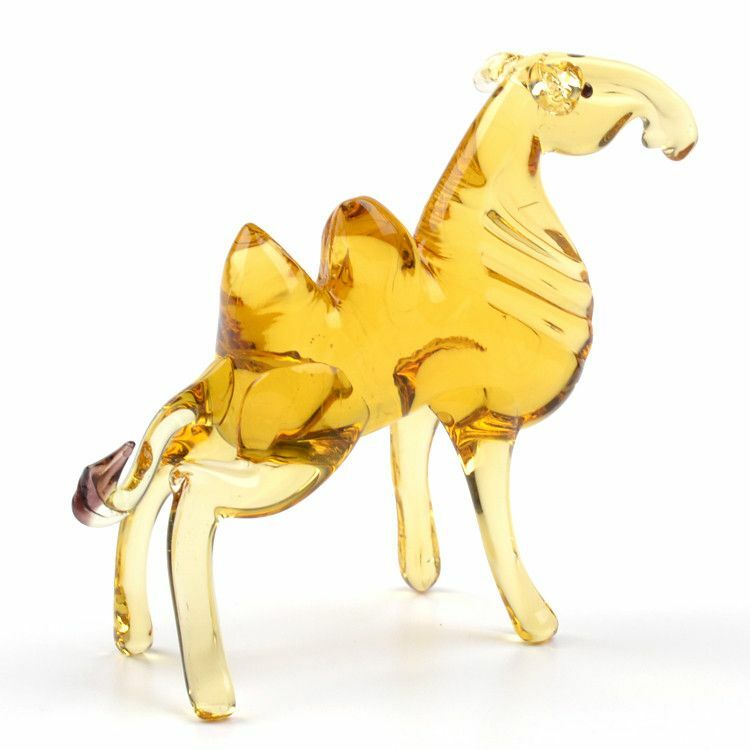 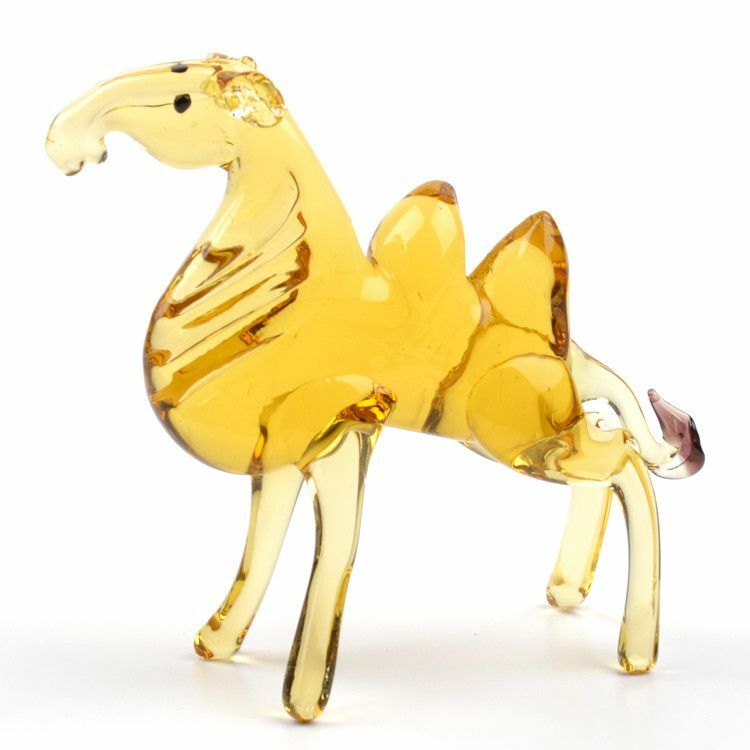 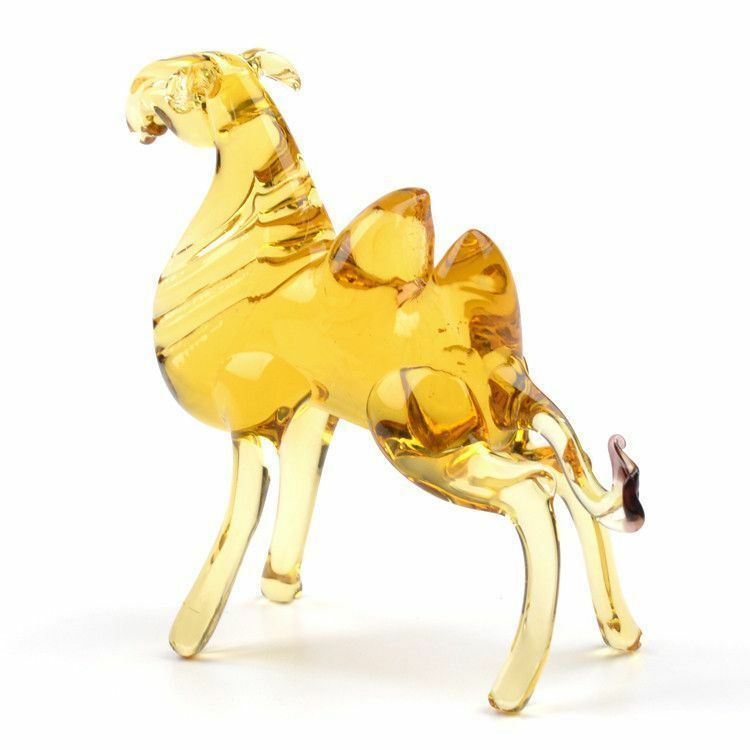 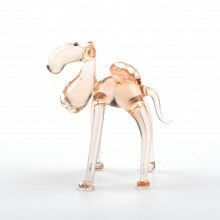 This particular two humped camel varies in color from light yellow (pictured) to dark brown.